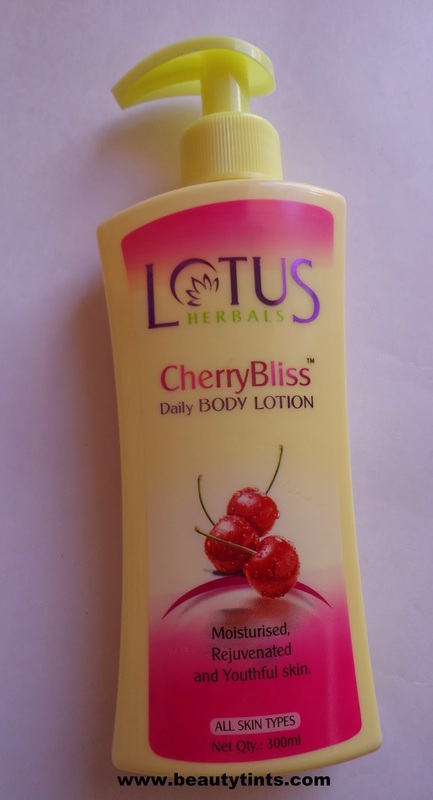 Today I am reviewing Cherry Bliss Daily Body Lotion from one of my favorite brands Lotus Herbals.I used this body lotion long back say some 2 or 3 years back and recently bought this again when it was at 50% discount. 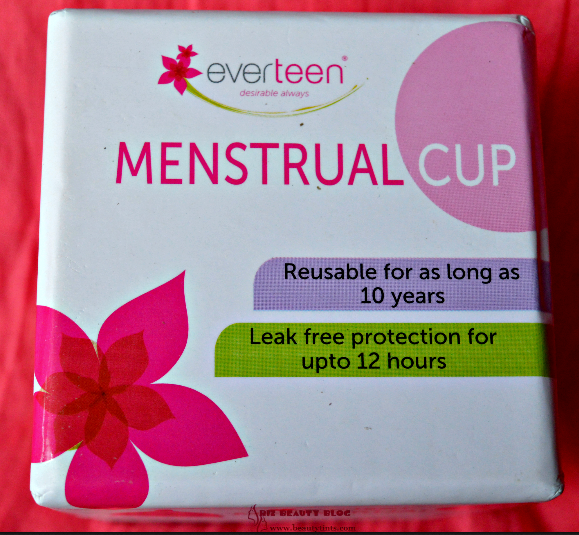 Packaging : It comes in a sturdy cream colored bottle with a pump dispenser. 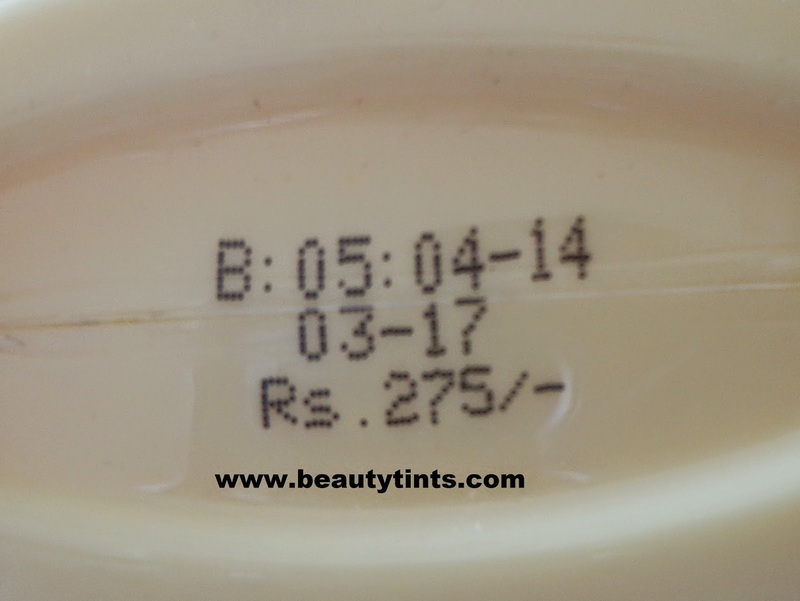 Color and Texture : This is a white colored lotion with medium consistency which is neither too thick nor too thin. 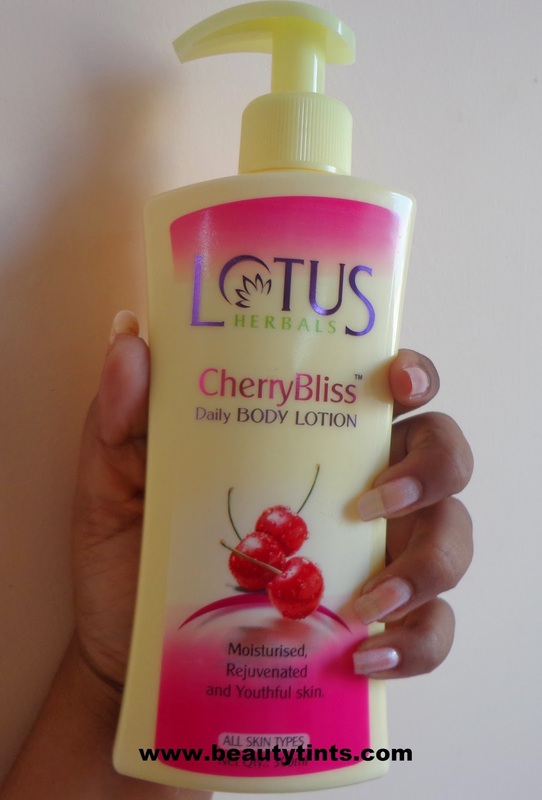 What the product Claims : Blended with organic ingredients such as Cherry Extracts, Strawberry Extracts, Vitamin A, Vitamin E and Vitamin C, this Lotus Herbals body lotion is an innovative formulation made to preserve the health of your skin. With its moisturizing quality, Cherry extract excels in hydrating every pore of your skin and retains moisture, thereby making your skin softer than ever. In addition, Cherry has the ability to protect your skin from external microbes and UV rays, making your complexion free of acne, blemishes and pigmentation. 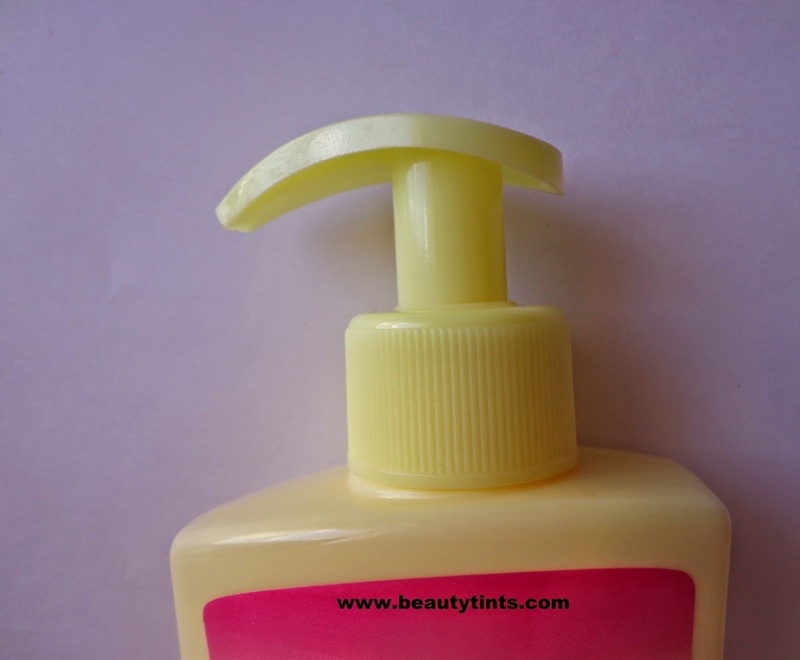 This natural lotion is the perfect solution for dryness, cracking and flaking. 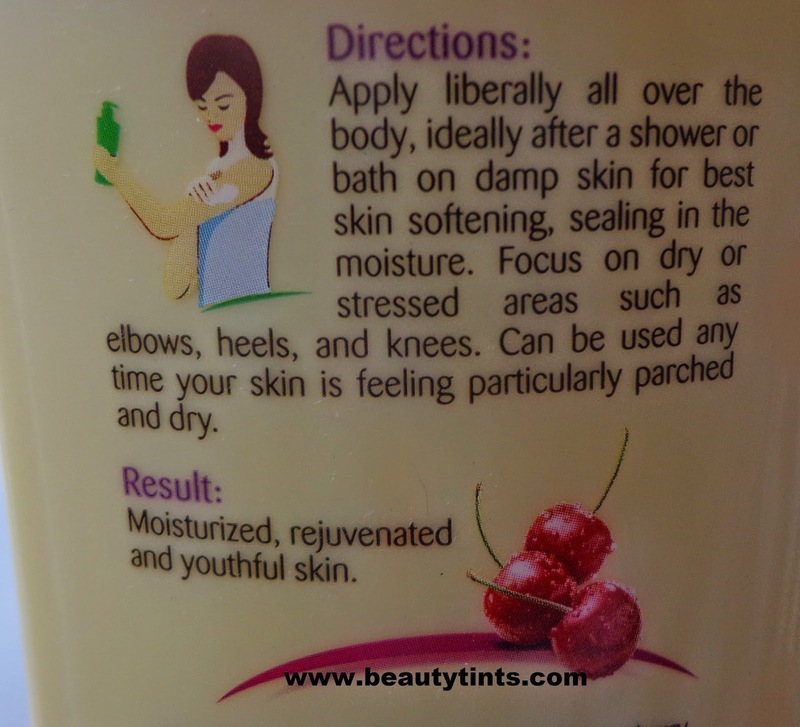 Directions for Use : Apply liberally all over the body,ideally after a shower or bath on damp skin for best results. 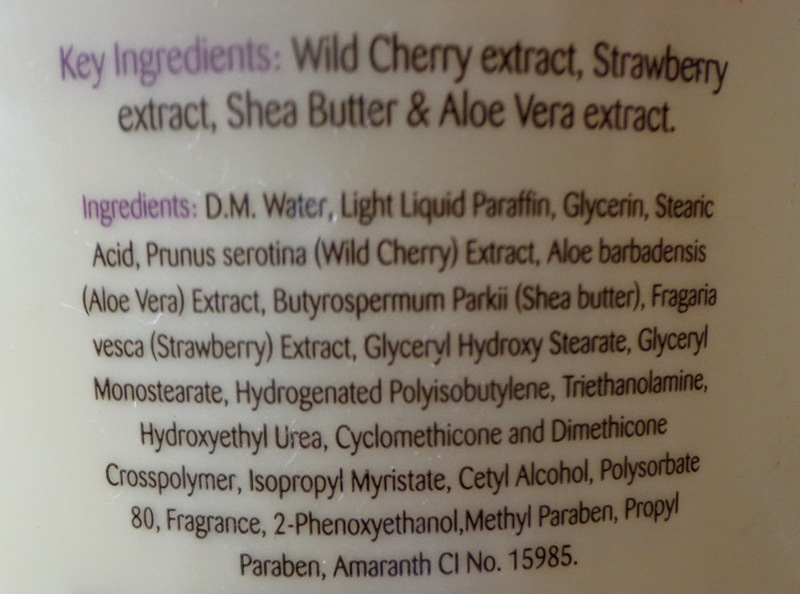 I like almost all the body lotions from Lotus Herbals as they moisturize well and are very affordable. 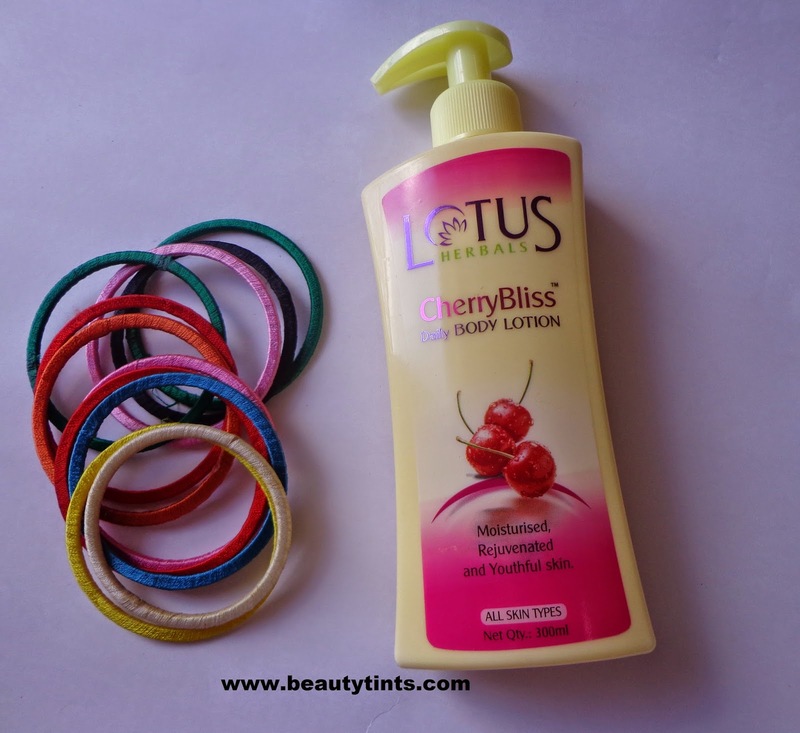 I love to try different body lotions every time and so I keep on changing them,but Lotus Herbals body lotions are the ones which I use again and again.But these days I am into paraben free stuff and so not using these body lotions.But recently it was on discount and so bought it.This Cherry Bliss body lotion is for All skin types and comes with out SPF. I prefer to use it in the night time or times when I stay completely at home.It has a mild medicated fragrance,which reminds me of cough syrup,it stays on for more than 1 hr,though it does not bother sensitive noses.Very little amount is needed every time especially when applied on damp skin and so one bottle lasts for more than 2 months.It comes in a sturdy bottle with a hygienic pump dispenser which can be locked and so we can carry it safely during travelling.It gets absorbed easily with out being heavy or oily on the skin and moisturizes well for more than 3 hours.This body lotion claims of reducing fine lines and wrinkles as it contains the goodness of Vitamin A and E from cherry and Vitamin C from Strawberry.I do not have neither fine lines nor wrinkles on my body so cannot say much about it.The best thing about this body lotion is it not only helps in making skin smooth and soft but also helps in lightening the tanned skin. 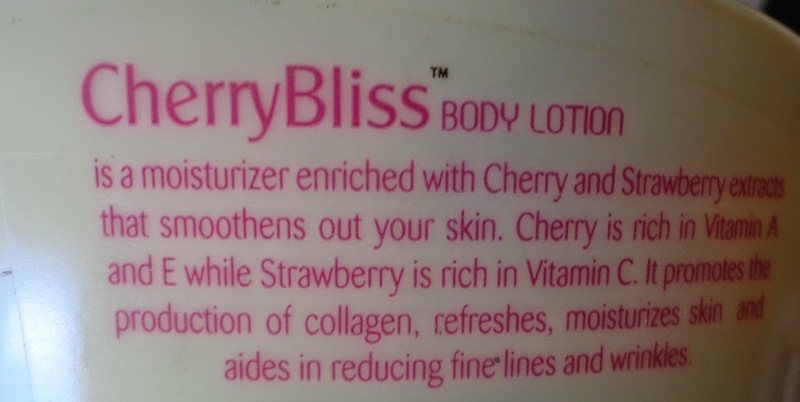 Contains the goodness of cherry and strawberry,which are rich in Vitamin A,E and C.
Final Conclusion about Lotus Herbals Cherry Bliss Daily Body Lotion :It is a well moisturizing body lotion for all skin types,but may not be enough for extreme dry skin.It helps in removing tanning to a bit as it is rich in Vitamin C.